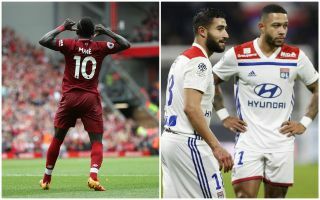 Liverpool are being increasingly tipped to go through with a transfer deal that would see Memphis Depay replace Real Madrid target Sadio Mane. Bookies Ladbrokes have informed us that Mane is now just 7/4 to make Real Madrid his next club, while Depay is 5/2 to move to Liverpool. This shift in odds seems to follow a recent report from L’Equipe, which claimed the Netherlands international was Liverpool’s preferred replacement should Mane move on this summer. It remains to be seen if all the cards will fall into place for these two signings to take place, but it may be that things are moving in that direction following this notable change in pricing from Ladbrokes. Memphis Depay back to the Premier League with Liverpool transfer? Depay flopped in his previous spell in the Premier League with Manchester United and could be seen as a risky signing, despite his obvious natural talent. The 25-year-old has certainly improved in his time with Lyon, but it remains to be seen if he is truly the kind of player who can do it week in, week out for a top club with Premier League and Champions League aspirations like Liverpool. Mane is also not a player the Reds will want to see leaving, so fans will hope there isn’t too much to this news.